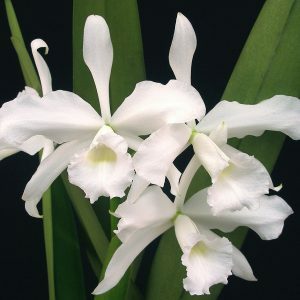 These close relatives of Cattleya are extremely lovely and beautiful. This genus is divided into sections, representing their diverse morphology and ecology. Some species are epiphytes from tropical rainforests, some come from xerophytic forests of Mexico, and some are obligate lithophytes. 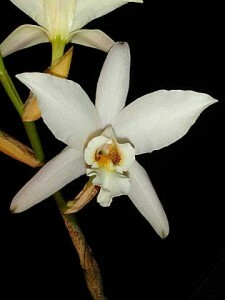 Section Crispae Laelia is indistinguishable from unifoliate Cattleyas, except the form having 8 pollinias, that’s why they are also called Cattleyodes Laelia. 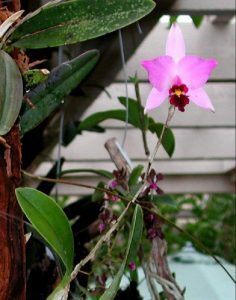 They have morphology same as unifoliate Cattleyas and large, fragrant, showy flowers up to 10 inches (Laelia purpurata) wide. There are extremely beautiful Laelia lobata with purple flowers, rather small sized Laelia crispa, lovely yellow Laelia grandis and Laelia xanthina, spectacular looking Laelia tenebrosa with large fragrant flowers, orange petals and sepals and purple lip – that’s why these Laelias are extensively used in Cattleya complex hybrids creation, for they are giving unusual shape and color to hybrids. 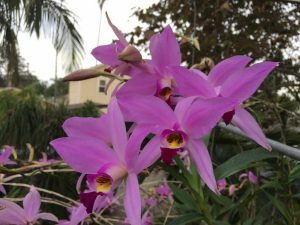 These Laelia orchids should be potted to medium to large bark, they are warm to cool growing, need full sun and watering after bark gets fully dry, in fact, the care for Laelia is the same as Cattleya orchid care. 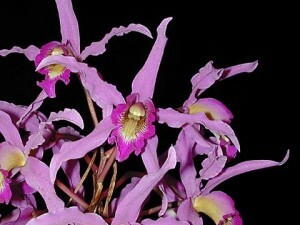 Hadrolaelia section of Laelia orchids contains famous Laelia alaorii, Laelia praetans – they come from rainforests of Brazil. 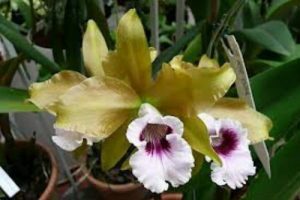 They are usually miniature to medium sized, warm to hot growing orchids and need bright light, waterings after potting media is fully dry. They could be potted to bark mixture, but better to mount these Laelias of section Hadrolaelia to slabs, as this is the best orchid growing technique for these Laelias. So-called rupicolous Laelias of sections Parviflorae are cute miniature litophytes with bright flowers. 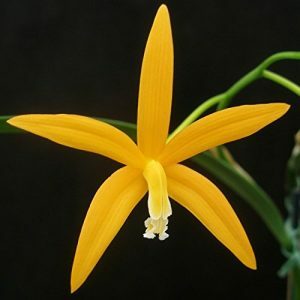 Laelia liliputana is a tiny lovely orchid, Laelia briegeri has bright yellow flowers, Laelia caulescens has bright pink flowers, Laelia cinnabarina has intense red flowers. They are cool to warm growing, sun loving miniatures and should be potted to lava rock or other inorganic open potting mixture, as these orchids are obligate lithophytes, and their roots are suited to rock surfaces. 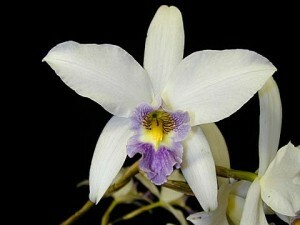 And there are spectacular xerophytic Laelia speciosa and Laelia anceps, which grow in xerophytic forests of Mexico. They could be grown both mounted on slabs or potted to epiweb or medium to large bark and should be watered carefully because they are prone to root rotting.